The Buddha Barrier is a uniquely designed, completely anti-trip Water Filled Separator. 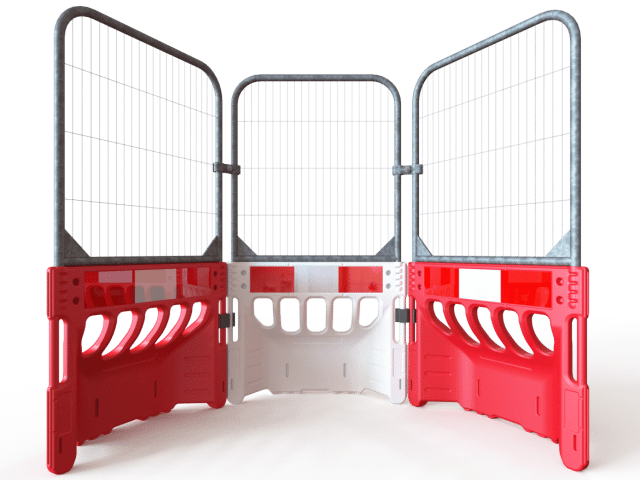 At 800 mm in height, it creates a safer environment for pedestrians over traditional Water Filled Separators, as well as this, the Buddha Barrier can be fitted with a metal fence panel that creates a barrier over 1.8 m in height. Can be used either way due to Duel Reflective. Connect to one another using the S-Clip. Concave area can be used for spoil placement. Two can be faced together over exposed holes & damaged manhole covers. Capacity to hold 22 litres bringing the complete weight to 27.2 kg. Large Corporate Branding area of 300 x 170 mm. Compatible with the Melba Swintex Barrier range. Automatic overflow indication prevents overfilling. Manufactured from HDPE & 100% recyclable. Can be positioned at a connection of over 270°. Hole & Bung can be supplied if required for drainage.